Wouldn’t it be good if, instead of paying high prices for your domestic or commercial power, you were able to generate most of your energy and your energy supplier paid you for the full amount that you produce? 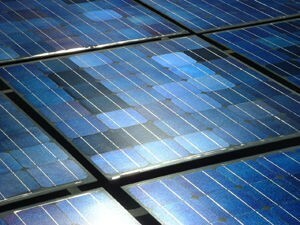 The buzz about PV solar panels (photovoltaic) came since the government introduced the feed-in tariffs scheme last year. The idea of solar panels being used to generate power for your home or business can now be a reality for the majority of homeowners and companies and is now available throughout the United Kingdom. PV solar panels are a thriving industry now. Homeowners are now starting to understand the financial benefits of solar technologies, including solar heating panels, including the money they are likely to save on their heating bills. The current benefits of investing in a solar panel installation are the feed-in tariffs scheme, which will result in the production of your energy while selling off the excess to the National Grid. You will notice considerable savings on your energy bills. With the product lifespan running between 30-40 years and the guaranteed payment incentive set at 20 years for solar electric and 18 years for solar heating, it is an ideal opportunity for people looking for a sound long-term investment. With the product lifespan running between 30-40 years and the guaranteed payment incentive set at 20 years for solar electric and 18 years for solar heating, it is a no contest situation for people looking for a sound long-term investment opportunity. Your energy supplier will pay you a set rate of 15.44 pence per kWh for each unit of electricity you generate using PV solar panels. Also, you will receive a further 3p per kW h from your energy supplier for each unit which is exported to the National Grid when used within the home. A similar scheme has begun recently for solar heating panels. The Renewable Heat incentive scheme will allow investors in this technology to receive 8.5p per kWh generated, guaranteed for 20 years. This tool is designed to reward people for choosing a fossil fuel free home energy future. Stuart Lovatt from Power My Home, says, “Most homeowners who are interested in PV solar panels may never have had any prior knowledge or contact with a solar installation company. All solar installers should also be committed to the REAL Assurance Scheme. Solar companies that agree to abide by this scheme, which is a code of conduct, will also display a logo to this effect, just like the MCS certification logo. This scheme means any PV solar panel installation company will dedicate to reaching and providing specific sales standards that will protect you, the consumer. It was designed to help homeowners get trusted advice on PV solar panels without being subjected to hard sell tactics and to ensure high standards of service before, during and after a contract is agreed. A solar company who is MCS and REAL Assurance Scheme certified will also be able to guarantee a higher quality installation from an aesthetic point of view. PV solar panels should not only generate heat and power for your home but should also have a high standard of appearance of your property. PV solar panels are becoming more and more popular around the country, compared to the traditional, more expensive ways of keeping warm, as people learn more about the advantages of this new technology. If you want to add to this growing number, choose a solar installation company with the same care as a plumber or electrician, to ensure your installation will be safe and carried out to the highest of standards.